Doing it right the first time is cost effective. 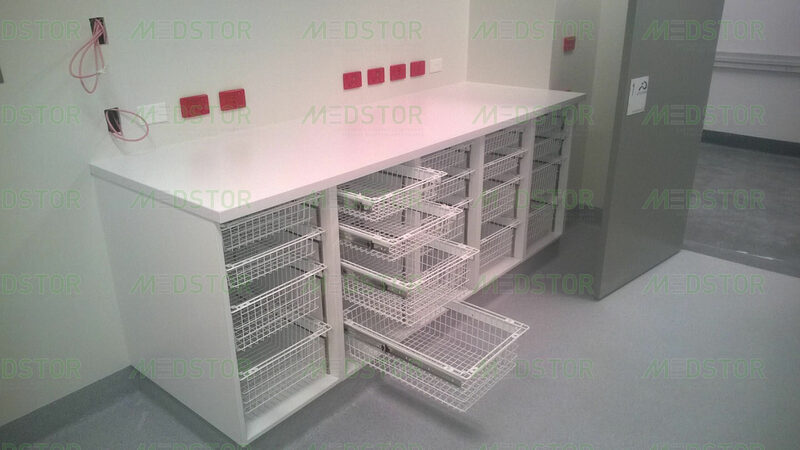 The Medstor range of Healthcare Storage Solutions is recognised throughout Australia as a leader in its field. 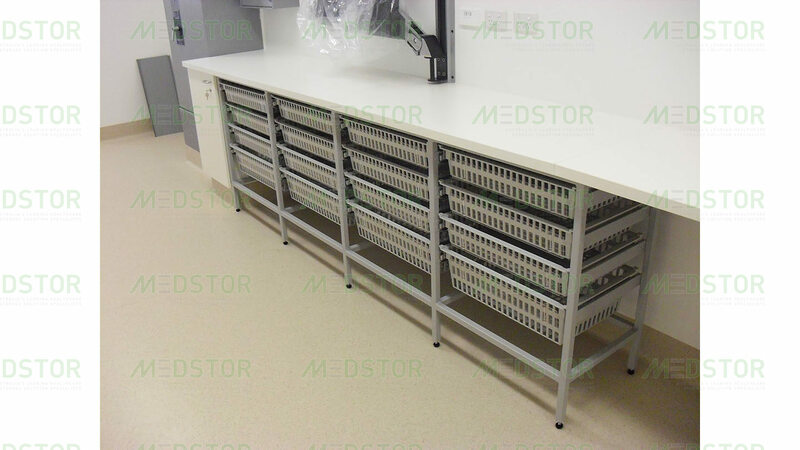 Whether it is a large hospital or a small clinic, Medstor has the solution to your storage needs. Medstor’s reputation for service and quality, coupled with a competitive pricing structure, will guarantee you best value for money. 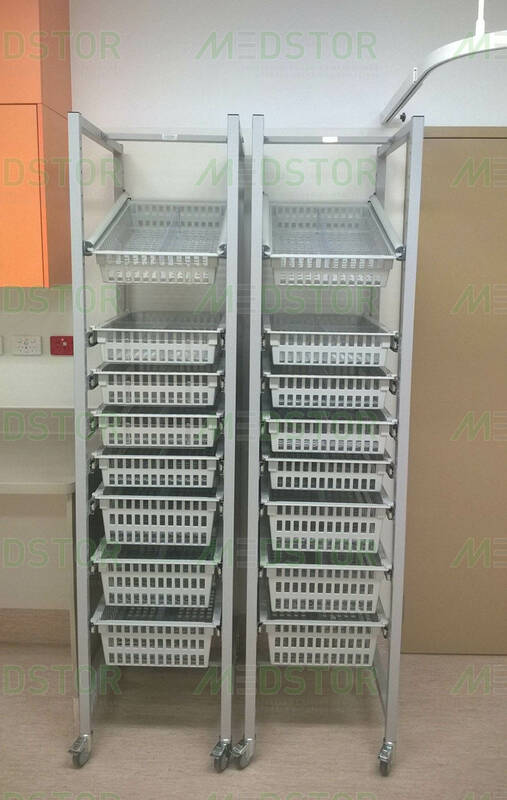 The Medstor concept of healthcare storage is based on the 60/40 system, i.e. a range of trays which are 600mm x 400mm x (either) 50mm/100mm/200mm deep. This system allows versatility and flexibility, as the trays are interchangeable with the Medstor range of cabinets, shelving or trolleys. So how can it benefit you? Stock levels are constantly regulated. Time expired items are reduced. Rotation of stock is automatic. 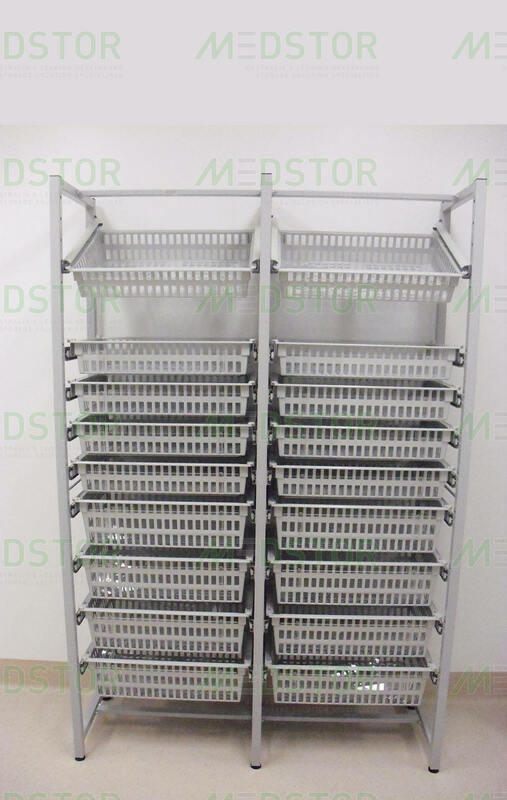 Medstor Australia’s unique tray and basket systems allow the end user to control the actual stock level required in each selected area and, by using the principle of “first in first out”, stocks are replenished on a cycle which is based on daily or weekly usage. Our Clear Polycarbonate and Grey ABS Tray range along with our Clear Polycarbonate Baskets and Grey ABS Baskets are manufactured in accordance with ISO 9001. In addition we offer a full wire basket range (Either Stainless Steel or Powder coated) to provide further options if required. Your existing barcode facility of stock control can easily be adapted for Medstor by using our product identification holders. We offer a no obligation consultancy service at your location. We also provide detailed CAD layout drawings showing the exact proposal based on either our onsite visit or your supplied information. In addition, a full written quotation and specification is supplied with each drawing. We offer a full installation service, with all projects completed by our highly skilled installation teams based in most states Australia wide, to suit your convenience. However, you can also elect a self-installation programme by utilising your own approved contractors. Full installation instructions are available upon request. CONSULTING: We begin by assessing your current situation in terms of stock holding and space utilisation. Then after consultation with you and your staff, we will develop an individual concept based on your needs and requirements. PLANNING: Following our site visit, this information along with your storage requirements are put through for design, planning and costing. DESIGN AND ESTIMATING: Our planning services enables MEDSTOR Australia to offer you your very own personalised layout using CAD drawings showing the exact products and set-out included in your itemised quotation. Our services cover all requirements for every area of the Healthcare environment from a single room to a complete hospital. INSTALLATION AND IMPLEMENTATION: With MEDSTOR Australia you have a partner who will work with you from the initial discussions right through to installation. We will liaise with you to make sure your system is delivered on time and to an agreed schedule. Our experienced, qualified installations teams will ensure that your new project is installed, cleaned and left ready for use. TRAINING AND EDUCATION: Our service doesn’t end there. It is important to us that our system works for you, and with that in mind we will walk you through all aspects of your completed project, together with providing some basic training for your staff or team.